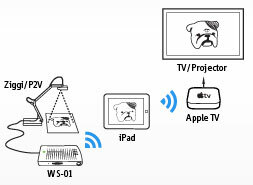 The WS-01 Wireless Station for USB Document Cam lets your IPEVO document cam — the Point 2 View, Ziggi, or VZ-1— communicate wirelessly with iPad so you can do even more in the classroom or office. The WS-01 allows you to use your IPEVO document camera with iPad through the convenience of wireless streaming via an existing Wi-Fi network. Real-time high-resolution images of documents and more are right at your fingertips for teaching, presenting and collaborating. 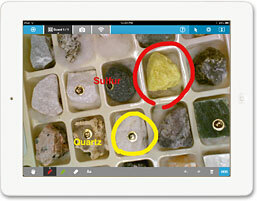 With the free IPEVO Whiteboard app, your iPad becomes a portable smartboard to open up even more educational horizons. Streamed images can be drawn upon/annotated to easily emphasize key text or areas of interest — all with touchscreen gestures and simple, intuitive tools. The combination of WS-01 and Whiteboard enhances teaching and presenting across a wide variety of contexts and subjects. 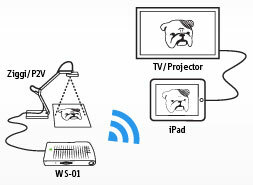 Connect directly to your projector with a wired VGA adapter to project real-time video and annotations from Whiteboard. WS-01 and Whiteboard, paired with iPad, deliver a complete teaching and presenting solution for cutting-edge educators looking to maximize their ed tech. With the help of Apple TV Airplay, the image feed and Whiteboard changes can be projected onto the big screen for the entire classroom or conference room — all without a wired connection. You'll be free to roam with iPad and interact with your students, audience, or peers. 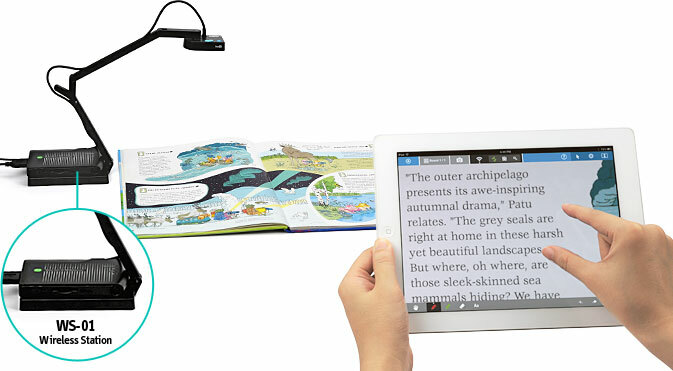 In addition to iPad, WS-01 also streams IPEVO document camera live image to Mac and PC. Simply connect your Mac or PC to WS-01 via Wi-Fi and launch Presenter, or utilize the "Live-view" mode within your browser. Cable length no longer limits your setup. 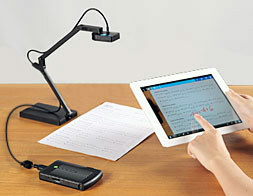 Document camera can be placed anywhere within the Wi-Fi range, or even moved around for more possibilities! 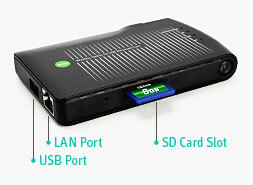 The unit can even connect your device to the internet. 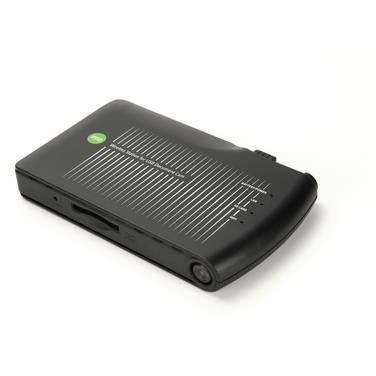 The WS-01 also functions as a wireless USB drive and an SD card reader thanks to a dedicated SD card slot. 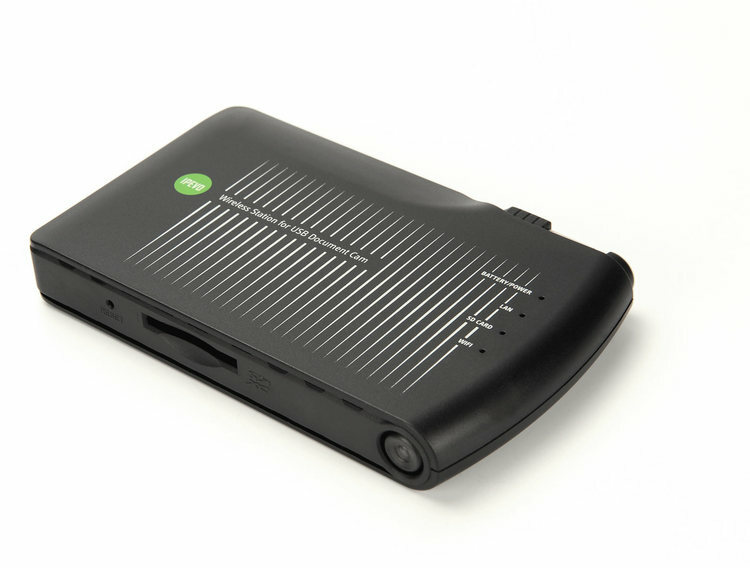 Save and manage files wirelessly with a straightforward browser-based interface. The WS-01 Wireless Station for USB Document Cam helps you harness the power of iPad for teaching and learning, and it empowers you to do even more in your classroom. Bring your material to life and interact like never before — all wirelessly via your Wi-Fi network. 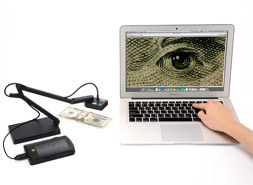 Note: This product is intended to work with the IPEVO VZ-1, Ziggi and/or Point 2 View USB Document Cameras, which are sold separately.